Neapolitan-style pizza is traditionally cooked in a wood-fired oven at 425 °C / 800 °F or hotter. 3/8" Baking Steel, you can replicate the effects of a wood-fired oven to produce the blistered crust of Neapolitan-style pizza in your own kitchen. WE DO NOT SHIP TO P.O. BOXES. 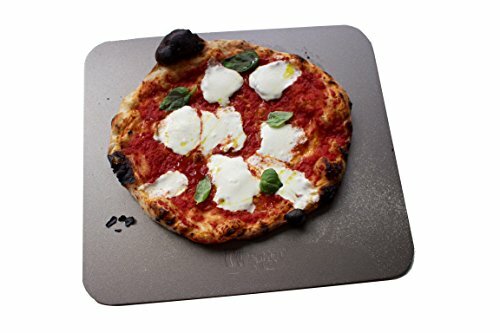 The Baking Steel 3/8" Version is perfect for making high quality pizza's at home.